In researching the book, I am trying to document some of the fines and charges against veterinarians who have been charged with professional misconduct. And I am finding serious cases here..those who have been grossly negligent and incompetent. But in researching, I have yet to find an example of a veterinary college/governing body in North America, who has given a veterinarian a higher fine than me. If you are aware of a veterinarian with higher fines, or just want to comment, I would love it if you would post at then end of this blog post. So what really happened to me you may be wondering? I resigned from College of Veterinarians of BC on November 30, 2010. So even though I owned a veterinary clinic, The Nelson Animal Hospital, I couldn’t work in it. No more examinations of sick dogs and cats. No more diagnosis of unusual health conditions and no more specific treatment of any kind. The British Columbia Veterinary Medical Association first began investigating me on Dec 1, 2005. An inquiry committee was struck – on April 20, 2010 this committee found that I had committed various offences under the Bylaws and Code of Ethics. I was found guilty of professional misconduct. The College of Veterinarians of BC met on September 20, 2010. I was fined $30,000, plus required to pay $9,500 for the inquiry committee costs, and told that if I did not take remedial actions within the time limited for doing so, that I would be suspended from membership. Dr Jones was found guilty of violating numerous sections of the Code of Ethics and Bylaws with respect to marketing of his Natural Dog and Cat Health Internet Business. “ The panel finds that between December 1, 2005 and October 31, 2008, Dr Jones violated ss 8,26,27,97,100 and 104(a),(b), (c), (d), and (e) of the Code of Ethics and Bylaws. Your comments are appreciated, especially if you are aware of veterinarians who have been fined by their governing bodies. Dr. Jones… This is a disgrace!! You have only done GOOD and they did such a diservice to you. It is just awful.Just know how many people you have helped. I think youa re amazing and hope you keep it up. Many thanks. I think it is pretty crappy that your being fined enormous amounts for being honest!!! Honest Vets are few and far between. I will be filing my formal complaint with OVC in regards to my Vet for exactly that..lying!! !Geez, in Ontario even if you have a legitimate complaint, nothing gets done. If I lived in BC, I would be bringing my dogs to you, licensed or not, at least I know they would be getting proper care. It’s all about the mighty dollar. Apparently that is more important than making sure our furkids are taken care of properly!! Dr Jones, APPEAL, APPEAL, APPEAL!!!! The bottomline problem needs to be addressed realtive to FREEDOM OF SPEECH versus Collegiality of the an Economic Cartel. (For example, bullying and sexual harassment ((which is per US law quid pro quo – unwelcome and pervasive but NOT speech)) have become code words for an attack on free speech. Now collegiality – and vet ethics (where’s the ethics of the failure of informed consent per vet ethics) is becoming code word(s) for the attack on you. Now in the US there is a group called FIRE (headed by a Silverman) which counters speech codes on college campuses. And speech codes are censorship – exactly what is happening to you. You may wish to contact FIRE to see if they have a Canadian equivalent. This is a disgrace. Is there anything we can do to help? I am so tired of all the lies that go on in conventional medicine. What’s wrong with health care? It’s better than sick care! You have paid the highest fine’s every. What give’s them the right to suspend and fine Vet’s? You have done more for animal’s than any other Vet going. We all use Home Remedies for healing ourselves. I have been living with this frustration since the beginning of this injustice, you being fined for your honesty and respecting our animals instead of MONEY.FREEDOM OF SPEECH AND FREEDOM OF CHOICE.Thank you for your incredible information and being who you are. The problem is that you are MORE ethical than they are and therefore pose a threat to their livlihood and mission………stealing from pet owners! Unfortunately,there is NO justice and enough of them going aganist you can bring you down. I feel so badly for you and all the poor animals that will now be at more risk than ever because you can’t be there for them. It’s very sad………………..I guess that continuing to make people more aware of the truth will set you free from the system that will not acknowledge the ability to “have a heart”! It is disgusting and disgraceful that a veterinarian who chose to tell the truth got treated so poorly. Another veterinarian whose VOM class I took had to repeat his 4th year of veterinary school because he chose to work with a chiropractor for adjusting animals. Sometimes boards are eons behind the time and it is unfortunate that the British Columbia Veterinary Board still lives in the stone ages. For those who think the veterinary board was usurping it’s power: while I intensely disagree with both the charges and verdict of the Board, they are well within their rights as a professional licensing agency to impose sanctions upon a veterinarian whose behavior they don’t like. All licensing boards are empowered by their respective governments to do so upto and including a permanent ban on practicing. This does not mean I think the board’s action is warranted as Dr. Jones was only speaking the truth about the current state of veterinary medicine. It just means that nothing the Board did was illegal. That being said, my own opinion is that the Board was being vindictive and the sanctions excessive. But there is a good side to all this: Dr. Jones is now free to speak his mind and go on his way to become an expert on veterinary medicine. Only his college can revoke his DVM designation. Along with being an expert comes speaking engagements, lucrative JV contracts with affiliates, etc. It is true that he can no longer put his hands on animals and practice his calling, but he can do things to animals that are not within the scope of “veterinary medicine” – yes at least within the states there are things that are not “veterinary medicine” and thus the board has no opinion on them. I have purchased your educational products prior to becoming aware of the professional obligations of belonging to a professional regulatory body like the BC college of vets. You must have been aware of your obligations to your professional regulatory body. Even if you were not when you started selling your products, you must be now. Quiet frankly, I do not know why you feel justified in slandering other veterinarians, some of whom do belong to a holistic veterinarian association like AHVMA (http://www.ahvma.org/) in addition to their local regulatory body, in order to promote your products. Do your products need to put others down to look good? I realize you have sought legal advice. Have you also sought marketing advice? You perceive yourself to be in conflict with those around you. Do you not share the common goal of wanting to support and enrich the human-animal bond? Why not build on that perspective rather than putting your energy into destroying those who have hurt you? Mistakes have been made. Redemption has been offered and refused. Your choice to continue ‘fighting against the man’, i.e. other veterinarians in your professional organization, must be exhausting. Is this really what you want to put your life energy into – your right to call other veterinarians money hungry, unethical, cheats? I too feel you have a great deal to offer the animal loving public about how to care for their animals. Focus on the positive. The negative need not be said. Positive reinforcement training works on humans too. I have read the report from the college and the findings are clearly about ‘egos’ & ‘submission’ to the old establishment rather than about the care and well-being of animals being served. You have ‘strayed from the flock’ of your peers to find another way of dealing with health issues in animals and shared your knowledge with us so therefore you have to be punished. It is difficult to imagine that the commencement of the charges against you were based on the word ‘affordable’ in your advertisement. You dared to use the word ‘affordable’ which lead to a full blown investigation. Ludicrous! The college failed to mention that you have always referred pet owners to visit their veterinarians for serious health problems. The college suggests that pet owners would not know how to best care for their pet and only college members do. Please remember that change, innovation and forging new frontiers are often met with opposition, rejection and ridicule. You are a hero to us all for having the strength and will to challenge their old and outdated ways of thinking. Thank you for ‘Blazing the Trail’ for us! Just as today’s human medical community is veering away from “treating” illness to “curing” illness,because of people like you, animals will have the benefit of living more healthful and quality lives. Innovators are persecuted by those who have benefitted from the old status quo. It isn’t a matter of good or ill will, but rather, one of dollars. Please stay committed to your mission. One day your way will be the standard. Ridiculous that the use of term “affordable” and/or “caring” should be punishable by anything, fines or otherwise. Are the vets not to be affordable or caring? Would they leave you alone if you did not use the words: affordable, or caring? “97. No member shall guarantee a cure or the effectiveness of any treatment recommended to the public generally or to any client or person”. Now, what exactly doe that mean? That, if I take my dog to a vet, to address a medical condition, said vet is to sell (and upsell) me treatment that will not be effective? Isn’t this a bit like knowingly and willfully selling me something that is “ineffective”, “useless”, “defective”? On that same note, why would anyone want to spend sometimes thousands of dollars without any guarantee whatsoever? Does that not border or stupid? Do any of us knowingly throw a lot of money away on things that we know don’t work? Don’t we, before buying anything relatively expensive (veterinary care included), want an assurance, a guarantee that it works in the first place?!? They say that a “veterinarian’s best advertisement is the establishment of a well-merited reputation for competence and trustworthiness”. You know, if I were a vet, I would actually use this nearly varbatim, as my advertisement, and even throw in a link on my website to a list of “satisfied clients, and their human parents”; get their permission to list their data first, but, I am sure, they would not mind at all. If any of my dogs, or my cat, were your “satisfied clients”, I would be more than happy to have our testimonials available to anyone seeking an *affordable and caring* vet. Heck, I would even write it myself, and put as much emphasis on the words affordable and caring as possible! re: “At the end of the day it boils down to money…” comment posted not even by Dr. Jones but by a subscriber going by the name “Amanda”; so now they are going to censor on what we (subscribers/clients) say? How lovely that these baffoons think they can persecute the good doctor for something someone else says! Remaining “positive” if our pets are diagnosed with cancer… What’s wrong with that? The same rule applies to human cancer patients, so why not the pets and their owners? As for soliciting monies to organize a “defense fund”, I will be the first to admit I have posted that (either on the website or via email). Yes, I would donate to Dr. Jones’s legal defense fund any day! The “Tab 4” they refer to, as non-verifiable… Which part, exactly? The one about herbs used for arthritis, or the one about a plethora of nasty and dangerous side effects of the conventional prescription drugs? – guess what comes next? Yep, you need a 3rd drug, and so on, and on, and on… Pretty soon, you are so overloaded with chemicals that your organs begin to fail. Some medicine! The establishment took an oath to “first do no harm”; how is that doing no harm? How is it different when it comes to veterinary medicine/care? And, yes, the “killing with the most terrible dog foods on the market”, or “pesticides contained in flea and tick medications” is spot on. Just check the product recalls, or the statistics of deaths caused by these things, like, for example melamine laden pet foods. And why should Dr. Jones not include this in his newsletters? I, for one, want to know. The next series of accusations re: unnecessary barrage of vaccinations and pet food recalls; this is all verifiable. The Panel should google more and accuse less. I am personally aware of an updated vaccination schedule; why is the Panel not aware? I am also aware of the news of many pets dead as a result of kidney failures from tainted pet food. Hey, the recalls do not happen for no reason! There is always at least one whistle blower with enough balls to bring the inconvenient truth into the public view. Just look up dangers and harm caused to people by Vioxx, or Crestor, or Gardasil, or flu shots. The only difference here is that, with human casualties, we openly hear about it in the news. What about the animal casualties? Point me to one RELIABLE and UNBIASED (by the pharma/corporations) source of information about dangers of pet medications and vaccinations, and I might consider revising my opinion of you, Panel and BCVMA. Seems to me that the Panel (and the BCVMA as we’re at it) live under some dark and musty rock, and will stick to the status quo no matter what. They have the gall to call us, pet owners, “unsophisticated” (basically, stupid), and repeatedly label everything as un-verifiable or in bad taste. Let me tell you something, Panel, the only bad taste I found in all your proceedings is the one you left me with, after I read your “Decision” document. You are so obviously stuck in the dark ages of outdated veterinary rules that you will dismiss anything and everything that might be healthier and more effective, no matter what the source. I feel sorry for your narrow mindedness. And I am glad to be a subscriber to Dr. Jones’s communications, and a proud owner of his full holistic vet care course. Best of everything to you, Dr. Jones. Do not give up. If you must, move to another country, and continue to heal the animals in the holistic manner. You are saving many lives! First Dr. Jones just let me say that WE DO NOT WANT YOU LEAVING CANADA!!! Please don’t move to the US!!!! You do amazingly good work!! And we would miss you terribly. You have become quite a Canadian Veterinarian Martyr.Go get ’em! Dr. Jones, I and others have learned so much from you, and your informative articles have made me more empowered as a pet owner. The CVMA is obviously afraid of you and want to teach you a lesson I guess. You have a lot of people in your support; don’t give up! and don’t leave. Stay where you are. Oh and also at the end of all your articles, you do tell people to consult a veterinarian..(I forget the exact wording)… But there is a saying which applies here : “SOME MINDS ARE LIKE CONCRETE – THOROUGHLY MIXED AND PERMANENTLY SET”. Best wishes and support – Nicki C.
Hi Andrew. There are many ways to express my attitude towards the way these short sighted, up their backsides, so-called specialists who give a verdict on what they think is right just because they belong to an’old boys club’ and think they are demonstrating ethical standards. Who was the first vet ever? Who said they were qualified? The brotherhood of ‘old boys’-that’s who. Even after the 2nd world war, they were still treating horses with Gentian violet and liquid paraffin-treatments you don’t hear of any more. Medicine has come a long way especially since penecillin was discovered and yes, it can be the most wonderful medicine and life saving surgery techniques that cure our wonderful four/two legged friends. But, that doesn’t mean that some of the older remedies don’t work any more.The newer ones are so much handier and pushed by the reps who descend on all practices in the hope of-yep-you guessed it-making money! Just because you have worded your work that suggests that we would be better off treating SOME conditions ourselves and feeding healthier food to our pets instead of heading off to the vet, doesn’t mean that you say they are ripping us off or causing damage to our pets. You merely give us an INFORMED choice. You end your writings with a footnote that says if you are in any doubt-consult your vet. Have these respected gentlemen(morons-oops!) not read your work properly or have they skimmed it and are doing the same old,same old-ripping people off. $30,000? How much do they make in a year? Do they ever sit up at nights with a horse that has colic or a puppy with parvo-willing that animal to live? Have they forgotten the long nights of pouring over books, cramming for their final exam that will grant them those special letters after their names that you did and have now rescinded? These days we look to our vet-the one who has all the answers – to provide the magical cures we expect-they are the specialists, aren’t they? Since reading your work, I have cooked for my dogs and treated them.It isn’t hard nor does it take long.I still go to my vet if in doubt though. My 9yr old GSD has had arthritis in his back end and a skin condition (that from being a pup). He has had all the tests and all the diets and pills imaginable. Within 8 wks he is jumping up for his food, his coat is shiny and soft and hey-no more nibbling at itchy bits! My friend is a vet and was pushed out of a practice here in North Wales for saying things about treatments much the same as you. He still comes to visit us and remarked a couple of weeks ago how well Barney is doing an what a difference he has noticed in him. If you want to leave Canada, Andrew-come to the UK. We could do with you here. In the mean time don’t forget that old Latin saying:- Nil Illigitamus Carbarundum-I’m sure you can work it out! It has been very frustrating and unfair. We have four large dogs, a St. Bernard, Collie, Golden Retriever, and Samoyed. We have followed your health advice for our dogs and given them your supplements for a few years now. They have never been healthier. We are tired of the Panel and BCVMA and their unjust findings. Please appeal! Sad, but not surprising. It’s been drummed out of us that it is the body, mind and spirit that does the healing, not the drugs. What better way to facilitate that healing than by natural methods? But that’s too simple for the powers that be and not very profitable. What I love about you Dr. Jones, is that from the moment I started watching your videos, I could feel your sincerity and your love of animals. You’re right, it’s not Hollywood and that is what makes it real for me. I am inspired by your courage to speak for the animals. They need people like you now more than ever!! Thank you for taking a stand for what you believe in. I still have not seen or heard of any incidents where you have slandered or denigrated any individual veterinarian or professional person. You have only spoken out against practices that are dangerous and potentially harmful to our animals and I suppose those guilty must know who they are and will speak in support of the powers that be, rather than risk ruffling some feathers to do the pets they are supposed to want to help what is truly in their best interest. If only there were more veterinarians like you. It is increasingly difficult to stay positive in our world these days, a world so filled with corruption and greed. Honest caring individuals like yourself are truly a vanishing breed. It isnt only veterinarians involved either. Our government changes laws and doesn’t hold to its promises when the lure of fast and or easy money is dangled in front of them. They even change laws after a vote to suit their own purposes and will hold second votes (and probably more) until they finally get the outcome they demand. So much greed and corruption its almost too painful to pay attention anymore. Where or when will it all end? I will say that I have noticed also that holistic and natural methods are certainly gaining in acceptence and I have read several columns written by veterinarians in the USA who do openly report of the benefits of back to basics i.e. diet the importance of diet in our pets (and our own) health too. It seems very unfair that for reporting and writing of the very same findings you are being punished, even when so very many pet guardians applaud veterinarians like yourself and actively seek such professionals to care for their pets. I have been following this since you first talked about it. I guess I thought there would be some kind of appeal process and you would be reinstated as a vet. But that has not happened – yet. I think it is appauling that way your country’s veterinary governing body has treated you, but you must understand that blood is always spilled (figuratively speaking) when making a paradyme change. You have challenged the powers that be with real information the lay person can use, and this could take the wind out of their sales, oops, I mean sails. This is really all about money, as you know. I think something great is going to happen for you, and you will be rewarded for having the courage to stand up for what you believe in. Best of luck to you in your future! You are brave to believe in yourself when faced with such dour authority figures. Many of them likely believe in their drug-based model of veterinary care. And in their paradigm, they are right! The ones amongst them that are able, need to open their minds and help veterinary medicine move into the future. And the others? Well you know what they say, one of the reasons science is able to advance is that old scientists die. I hope if you stay and fight you will win, because then we and our animals win. The same message, but a little more diplomacy may help your cause. I like to call a spade a spade, but it can get a person a lot of backlash – as if you need to hear that. The veterinarians I have known are so mired in the practice of gouging the public, they don’t stop to think of how not to do it. At one point I had a cat with kidney disease. The flavoured potassium supplement the vet wanted to sell me was about $50 a month. I did some research and found the same potassium at a compounding pharmacy, unflavoured and completely acceptable to my cat, which cost me $10 a month. When it comes to serving the public, the one thing they entirely forget to do is to respect the financial resources of their clients. Even at a holistic vet, a herbal supplement was sold to me at $17 for five tablets. I could purchase this product elsewhere, 90 tablets for about the same price. Can you get a license to practice in Ontario? If so, come to St. Catharines. We need a holistic vet here! I worked in the veterinary field as a technician for twenty years and have been out of the “business” for almost 8 years. Looking back, I feel that I have done a disservice because of things that I had to tell owners, such as the annual vaccinations being necessary every year. 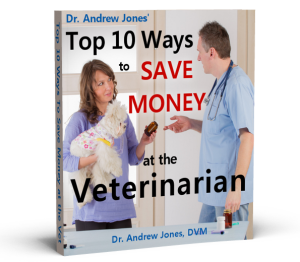 Unless I have a surgical need for my pet, I will continue to treat my pet at home. I think the majority of vets have lost sight of why they became a vet in the first place, to help animals, not to become rich off of their ailments. I appreciate your honesty. Keep fighting for what you believe. Dr. Jones, I believe you are going about this the wrong way. Who cares about other DRs. that were fined…to research that…would be stooping down to their level and perpetuating what they have done to you. In essence they gave you the perfect reason to become disassociated with them. I mean really…you are so much more open minded than they…so why would you want to be part of a group that conforms to standards you don’t agree with. I have said before to leave Canada and come to the US, you will certainly not have the problems here as there. But, seriously take Mr. Jim Schwart advise because I feel he is an attorney and knows exactly what he it talking about. Keep all of your emails coming – they are great. It seems to me that the BCVMA have a burden of proof issue here. While there is no doubt that you have pursued a different course than the vast majority of vets in that organization, there is yet to be proven that any of those doctors were actually harmed by your chosen method of veterinary care nor by your defense of said method. Nor is there any proof I’ve seen that your holistic methods have harmed any animals that could’ve ostensibly been helped by the accepted standard methods. How about the BCVMA prove that there were any animals in your care that could’ve been helped more by their methods? It was once said that the best defense is an effective offense. I feel that you might challenge this body of vets to prove that you’ve caused harm. It also needs to be said that plenty of evidence is around to prove that the standard care offered by most vets HAS given harm to the selfsame animal patients. Finally, since animals are regarded as property by the law then isn’t it up to their owners to choose the method of care these animals receive? Freedoms of several kinds are being challenged in this case. Dr Jones, I completely support you and hope you know what a gift you are to worried owners and our companion animals. I have firsthand had incredible results from especially specialised vets. I have found vets excellent for diagnosis. For treatment of my animals I have more often than not ended up turning to natural effective affordable treatments which DID cure conditions, when what the vet gave did nothing or worsened the condition. After a situation where I had decided after extensive research to follow the advice of a holistic vet, and let a purely cosmetic issue heal naturally, I was, in a weak moment talked into treatment by my regular vet, and my dog was rushed in. Complications have left me with a dog with breathing issues and ongoing infections. A completely healthy dog to an animal with reduced quality of life, the expense of ongoing treatment of the new problems, and my heartbreak of seeing the animal I love unnecessarily suffering. Vets are wonderful people who go into this because they want to do good. They generally follow the training they are given. Holistic medicine is becoming more and more popular simply BECAUSE IT WORKS. It is people like you who are taking the first steps towards not only improving but giving us options in the care of our animals, and as we the paying customers seek out vets who are willing to take a more holistic approach, sooner or later it makes sense for the training of all vets to include some holistic therapies, and support given to those who want to include this in their practice. And to the College of Veterinarians BC, with respect, you need to look at what consumers/clients now want from their vets, it is changing, Dr Jones is giving an outstanding service which is needed and wanted. It makes sense for you to be at the forefront of change rather than fighting and making life difficult for those that are. All anyone wants is the best possible care and options for our treasured pets.